This book is a politico-biographical introduction to the series Indian Constitutional Documents, Munshi Papers, in four volumes. It is a veritable mine of hitherto unpublished episodes and documents. The author has been in the centre of the stage of Indian public life for over six decades as lawyer, politician, administrator, Governor, diplomat and constitution-maker. Having been in the thick of history in the making, he has been a participant in, or has had personal knowledge of, events and developments that have resulted in the India of today. In his inimitable racy style, Dr. Munshi surveys events in India from the days of Bengal Partition, through the Home Rule Agitation and the various phases of the country's struggle for freedom, right up to the forging of a Constitution for our Sovereign Democratic Republic. The book deals, among others, with the Round Table Conferences, Congress Ministries, Akhand Hindustan movement, Partition, integration of Princely India and the formulation of the Constitution, with a masterly commentary on its various provisions-e.g., minorities, language and linguism, Parliament, President, judiciary and emergency provisions. At the end there is a review of the trends thrown up by the Constitution in its operation during the last 17 years. KANAIYALAL MANEKLAL MUNSHI'S versatility and achievements are unique. He is an eminent lawyer, one of the framers of India's Constitution and a seasoned statesman. Coming under the inspiring influence of Sri Aurobindo during his student days, Munshi has been an ardent fighter for India's freedom, working at different stages in close association with Jinnah, Tilak, Besant, Mahatma Gandhi, Sardar Patel and Pandit Nehru. His achievements as Home Minister of Bombay in 1937, as India's Agent- General in Hyderabad before the Police Action, as India's Food Minister and as Governor of Uttar Pradesh have been characterised by rare courage and decisive energy. Acknowledged as the foremost writer in modern Gujarati literature, he has to his credit a vast and varied literature including novels, dramas, memoirs and history in Gujarati, as also several historical and other works in English, notably Gujarat and Its Literature, Imperial Gurjaras, Bhagavad Gita and Modern Life, Creative Art of Life, To Badrinath, Saga of Indian Sculpture, The End of An Era, Bhagawan Parashurama, The President under the Indian Constitution, Tapasvini and Krishnavatara. 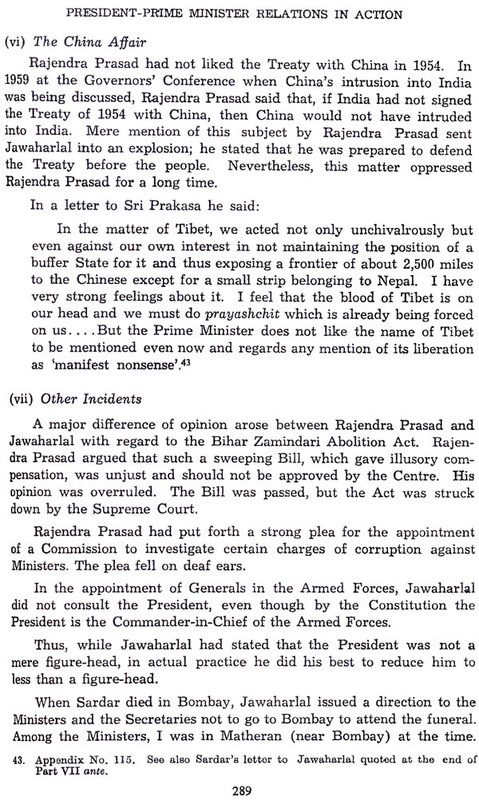 (C) Papers relating to the Constituent Assembly. On account of my pre-occupations, I could never find time to arrange these papers properly or work on them. 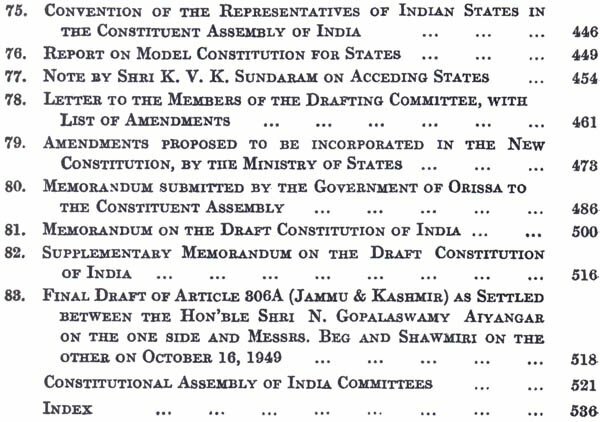 In 1955-56, the late Prof. Fowler Harper of the Yale University Law School, then a Fulbright Professor at the Lucknow University, saw the Constitutional papers comprised in Group 'C' and pressed me to publish the documents connected with the activities of the Constituent Assembly, which he considered very important. Some negotiations also took place between the Yale University authorities and myself. Ultimately, however, I decided that such a work should be published in India, preferably by the Bharatiya Vidya Bhavan, whose property it was. In about 1956, this project to publish the documents in Group 'C' was taken on hand by the Bharatiya Vidya Bhavan. For this purpose, it appointed an Editorial Committee consisting of Sarvashri N.H. Bhagavati and T.L. Venkatarama Aiyar, both former judges of the Supreme Court, and Sri Alladi Kuppuswami, son of late Sir Alladi Krishna- swami Ayyar, with myself as the Chairman. Later Sri B. A. Pandya, Advocate, Bombay High Court, was co-opted as a member of the Committee. In 1964, Dr. A.K. Majumdar, Jt. Director (Academic) of the Bhavan and Head of the Bhavan's Post-graduate Department, was appointed as the Editor-in-Charge. Volume I-Pilgrimage to Freedom: a politico-biographical introduction for the period commencing from 1902 when I became a volunteer of the Congress at Ahmedabad up to the 26th of January 1950 when the Constitution was adopted. 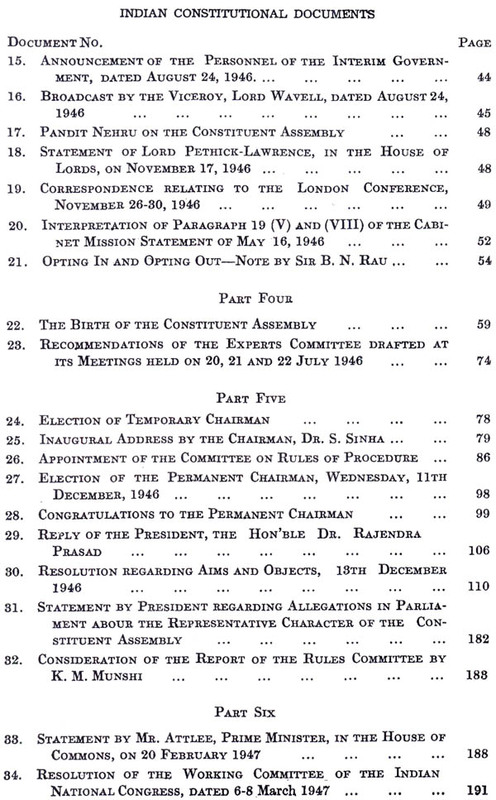 The relevant papers in Group A connected with the political events are included in the Appendix to this Volume. 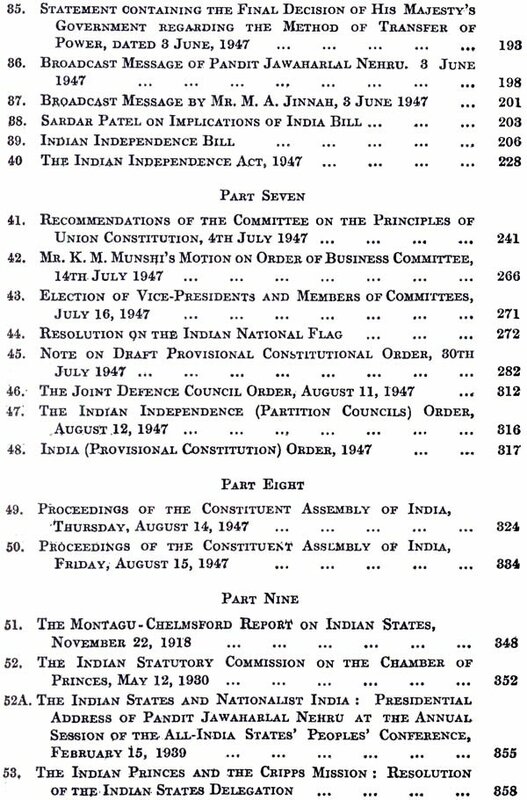 Volume II-Constitutional Papers up to 15th August 1947. Volumes III & IV-Constitutional Papers, Minutes, Debates relating to Minorities;. President, Fundamental Rights, Judiciary, Citizenship, Emergency Powers .and Preventive Detention, Union Constitution, Provincial Constitution, Distribution of Power and Finance, Official Language and Miscellaneous. In Volumes II & III, papers in Group 'C' have been supplemented by the papers of the late Dr. Rajendra Prasad, Sir Alladi Krishnaswami Ayyar, and those in the custody of the Union Ministry of Law. For a proper understanding of the Constitution of India it is necessary to become acquainted with its historical background which will explain why the Constitution makers accepted certain ideas and rejected others. Their experience of the events, policies and tendencies of the past and their knowledge of the working of the Constitution of other countries determined the content and form of the Constitution evolved by the Indian Constituent Assembly. The object of this series of volumes is to provide the background against which the Indian Constitution has been evolved. It affords an insight into the why and the wherefore of the various provisions of the Constitution, their meaning and implication, their purpose and objective, and the guarantees safeguards, checks and balances embodied in the Constitution. Dr. K. M. Munshi was intimately associated with the making of our Constitution from the beginning to the end; be is the sole survivor of the Drafting Committee of the Constituent Assembly. He pre- served almost all the papers to which he had access. His collection forms the basis of the present publication. However, to Dr. Munshi's collection were added the papers of Dr. Rajendra Prasad. Sri Alladi Krishnaswamy Ayyar and Sri V. P. Menon, so that a more comprehensive selection was possible. The speeches and documents published in this volume mainly relate to the formation of the Constituent Assembly and its working up to August 15, 1947. The last section (Part X) deals with accession of the Princely States from the beginning to the final drafting of Article 306-A, which eventually became Article 370 of the Constitution of India. It has been said that religion began with fear of God, and with fear of law civilization began. The fountain-head of all our laws is our Constitution; it is the epitome of our heritage which has to be passed on to the future generations. Therefore, a detailed study of its history becomes a desideratum, and with this view we have arranged the documents in this and the subsequent volumes to facilitate the task of the student of constitutional history. 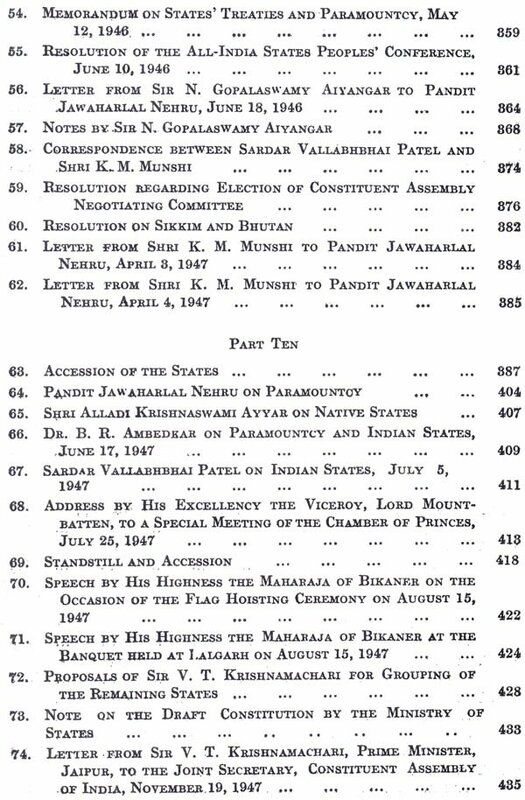 This volume of the Constitutional Documents, Munshi Papers ends with the historic ceremony of August 15, 1947. Up to this date the Constituent Assembly was primarily concerned with the preliminaries, and the main work on constitution-making began after independence, with Dr. B. R. Ambedkar as Minister of Law. Therefore, the documents included in this volume are of a miscellaneous nature, and are probably of more interest to the students of history than to those of constitution. The subsequent volumes will contain documents on the main topics of our Constitution, namely, Minorities, President, Fundamental Rights, Judiciary, Official Language, Emergency Provisions, Citizenship, Union .Constitution, Provincial Constitution, Distribution of Powers and Financial Structure, Finance, and Miscellaneous. It is often asked as to why our Constitution has retained so many important features of the Government of India Act, 1935. The main reason was that many of the important members of the Constituent Assembly like Dr. Shyama Prasad Mukherjee, Sri C. Rajagopalachari, Pandit Govind Ballabh Pant, Sri B. G. Kher, Sri Biswanath Das, Dr. K. M. Munshi and others had practical experience of the working of the Act of 1935,' and therefore were aware of its merits. How this Act worked in the Provincial field has been described by Dr. Munshi in the Pilgrimage to Freedom; he has also described there the working of the Montagu-Chelmsford Act of 1919 under which he served as a member of the Bombay Legislative Council. The fact is that the Constitution of India is the product of an historical process. During the days-of nationalist struggle, the leaders were often heard to say that no act done by them could be unconstitutional since India had no constitution. This was true to the extent that the Indians had not evolved nor sanctioned the constitution under which they lived; but there were from the beginning certain checks on autocracy, which gradually evolved into a constitution. For the British had brought with them some of -their traditional concepts and institutions as much as possible or necessary to curb autocracy. British connection with India began when Bombay became a British possession in 1661; and in 1672, Governor Aungier opened the first British Court with due pomp and ceremony. This was soon found to, be in-adequate and so the East India Company obtained under a Royal Charter granted on September 24, 1726, the right to establish Courts of Mayor and Aldermen to try all civil cases. From the decision of the Mayor's court appeal Iay to the President and council, and then, under certain circumstances to His Majesty's Privy Council. When 'as the result of the Battle of Plassey (1757) the, East. India Company obtained control over an extensive territory, it became necessary to: control their functionaries and the Regulating Act was passed in 1773 and took effect from. October 20, 1774: This Act die; not, provide for a constitution, but it brought the administration of the East India Company under Parliamentary control, which lasted till 1947. Moreover, the impeachment of Warren Hastings, the first Governor-General (1774-85), established the precedent that the Company's servants were liable for their action and at all times responsible to an elected legislature. The most important feature of the Regulating Act, was to associate a Council with the Governors of the three Presidencies, namely; Bengal, Bombay and Madras. Moreover, the Governors in the Councils of Bombay and Madras were brought under the control of the Governor-General in Council of Bengal. Though this control was not absolute, it opened the way for the ultimate unification of the Government of India. The Regulating Act of 1773t also established the Supreme Court of Judicature at Calcutta; which began to function in January 1775. The Judges of this new court were independent of the East India Company and the court was a King's Court. The Judges of the Supreme Court, who were all trained British lawyers (unlike tile Judges of the Mayor's court. who were the Company's servants), followed as far as possible the English rules and procedure. But, what is more important, they began to issue writs of habeas corpus and mandamus. Though such writs were at first issued rather indiscriminately, it was decided in 1781 in Rex v Ramgobind Mitter and others that the powers of the Justice of the King's Bench of England had-been given to the Justice of the Supreme Court severally, and they could-Issue the writ of habeas corpus severally, but the supreme Court as a court did' not possess any such power. In 1824, Supreme Courts were established in, Madras and Bombay under the Indian Bishops and Courts Act of 1823 with the same power and privilege as those enjoyed by the Supreme Court at Fort William, that is, Calcutta. Thus only these three Supreme Courts (from 1861, High Courts) were vested with the power-of issuing within their original jurisdiction the writs of habeas corpus, mandamus, certiorari and quo warranto, by virtue of their being courts of record and under section 45 of the Special Relief Act which only applied to them. Even these High Courts were unable to Issue these writs beyond their original jurisdiction (a small city area) and no other High Court had such powers with the result that except in these three Presidency Towns the machinery for enforcing the rights was the tardy remedy under Sec. 491 of the Criminal Procedure Code. In 1858, in Damodar Das v Hurukchund, the Court decided that it could not issue a writ of habeas corpus ad testificandum to bring up a prisoner confined by the warrant of the Governor-General in Council under Regulation III of 1818. In the same year, in another ease, namely in re. Tucket Roy, it was decided that the Governor-General in Council might issue his warrant to arrest and detain, without a regular trial, British subjects within -and without the jurisdiction of the Supreme Court,' and such warrant was considered a good return to a writ of habeas- corpus. This position With regard to Fundamental Rights persisted till the' end of the British period, and has practically been accepted in our Constitution. Another feature of' our Constitution namely' the judicial review (Article 21) can be traced to the Regulating Act of 1773. Article 36 of the Act was rather loosely drafted, and the Supreme Court, under the guidance of the Chief Justice Sir Elijah Impey, assumed overruling power over legislation. This was rectified by Pitt's India Act of 1784 which bestowed revisionary power to the "Commissioners for the Affairs of India," popularly known as the Board of Control, the forerunner of the Secretary of State's Council, the President of the Board being the prototype of the Secretary of State. It is interesting to speculate, how-ever, as to what would have happened if Impey had acted with moderation' and allowed tradition to develop on the basis of precedents. That, however, was not to be, and Impey's experiment was never again attempted in India till the Constituent Assembly discussed the question of 'Judicial review', noted below. Another noteworthy feature of the Regulating Act of 1773 was the vesting of authority in the Governor-General in Council. Subsequent Acts regulated the relation between the Governor-General and his Council, and the Governor-General was in a sense all-powerful till the end of the British Raj. The Council, however, was a check on absolute autocracy, and could with slight modification become nearly as effective as a Cabinet. This was proved when in 1946 the Congress and then the Muslim League joined the Executive Council. However, the Charter Act of 1793 empowered the Governor-General to override the majority of his Council "in cases of high importance, and essentially affecting the public interest and welfare" or "when any measure shall be proposed ....whereby the interests of the.... Company or the safety or tranquillity of the British possessions in India, or any part thereof, are or may, in the judgment of the Governor-General or of the said Governors.... be essentially concerned." (Article XLVII). This special power the Governor-General and the Governors enjoyed till the end, and though it was bitterly criticized by the Congress leaders, the principle was adopted in the Emergency Provisions (Part XVIII) of the Constitution. Dr. Munshi has dealt with this in the Pilgrimage to Freedom. The next important Act was the Charter Act of 1833 by which the Governor-General in Council was empowered to make "Laws and Regulations" for the whole of India, withdrawing from the Governors of Madras and Bombay all legislative functions, but leaving to them the right only of proposing draft schemes. 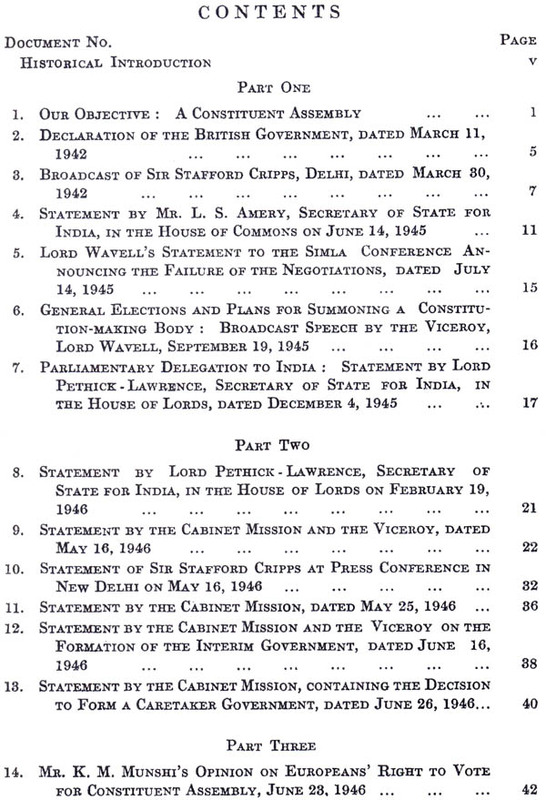 This was a decisive step towards the administrative unity of India, and, quite appropriately, the Governor-General, under this Act, received the title of 'Governor-General of India'. Later, as we shall see, Acts were passed distributing power between the Centre and the Provinces. The problem facing the British, namely, the extent to which provincial autonomy could be granted consistent with the basic unity of government faced the Constituent Assembly also, and our Constitution became a quasi-federation with ample overriding power for the Central Government. In a true federation, like the U.S.A., the federating units come together and bestow certain powers on the Central or Federal Government. While in India, for more than a century devolution of power took place from the Centre to the Provinces, so that, instead of delegating power to the Centre, the Provinces were enjoying delegated power. This historical process was somewhat reflected in our Constitution, in which power flows from the Centre to the units. Another significant change in the government of India brought about by the Charter Act of 1833, was the appointment of a Law Member on the Governor-General's Council. Hitherto the Council had consisted of three members, and now a fourth or 'extraordinary member' was added who was not entitled to sit or vote except at meetings for making laws and regulations.' He was to be appointed by the Directors, subject to the approval of the Crown, from among persons other than servants of the Company. As stated above, the Governor-General in Council was empowered to make 'Laws and Regulations' for the whole of India, and such Acts were to have the force of the Acts of Parliament, though liable to be disallowed by the Court of Directors and also required-to be laid before Parliament.